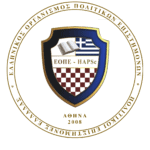 The Hellenic Association of Political Scientists (HAPSc) and its Youth Department (HAPSc – Youth) maintain close cooperation with Public and Private Scientific Fora as well as with foreign authorities. The term cooperation does not necessarily imply the existence of an agreement between HAPSc and its partners, but it rather refers to any form of partnership and collective action that may arise between organizations. Special collaborations established through agreements and/or containing financial conditions must be accompanied by the official documentation of the collaborative work plan. Below we provide a list of those national and international actors that HAPSc cooperates with either constantly or occasionally.